Labour Relations in South Africa remains a minefield for all employers, trade unions and employees. In fact anyone involved in business today must be aware of the strict laws and complexities of both collective and individual employer – employee relationships in the workplace. However, being aware of the complexities, as opposed to having direct knowledge and experience of all the laws; and the appropriate practices and procedures to follow when dealing with staff problems in the workplace, are two different requirements in business practice. 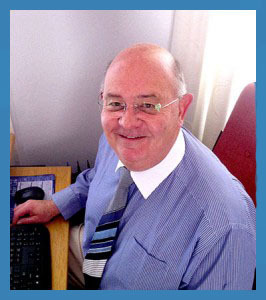 Mike Miles has been a specialist Labour Relations Consultant for the past 30 years in South Africa. He is available to advise companies on a retainer or ad hoc basis; represent employers at the CCMA and Bargaining Councils through a registered Employer Organisation; gives advice to individuals on their employment situations independently arbitrate or mediate on labour disputes; preside over difficult internal disciplinary enquiries, and present in-house training courses on labour relations and conflict resolution in the workplace. All consultations at his offices for professional advice are chargeable. In addition to his knowledge and expertise in labour relations he also consults to companies on Broad Based Black Economic Empowerment (BBBEE) Accreditation and statutory Employment Equity obligations. Please peruse the additional pages for details on his Consultancy and contact his offices telephonically or electronically for further advice on the services he offers. In compliance with the Promotion of Access to Information Act (PAIA), to view the Section 51 Manual, click here.